I am a full time real estate professional & Broker Associate, as well as an avid equestrian. Experienced in selling and listing all types of property, equestrian real estate allows me to utilize my professional experience and my lifetime love of horses. 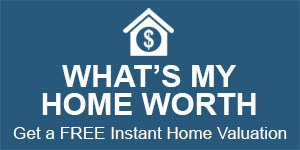 Experienced in residential, short sales & REO (bank owned) properties. I am a native of Oroville and have lived, worked and played in Oroville for over 40 years. My knowledge of real estate, the Butte County area, dedication & hardwork can help you make an informed decision on your biggest purchase. Contact me today and l will help you get Moving! Member of: Oroville Association of Realtors, California Association of Realtors, National Association of Realtors, REBAC – Real Estate Buyer’s Agent Council, Senior Real Estate Council and the Oroville Chamber of Commerce.